A wise, witty, and welcoming guide to modern witchcraft and magic and how you can use it to positively affect your life--from an experienced practitioner and employee at New York City's oldest occult shop. "Our brains seek patterns, our hearts seek miracles. And witchcraft is nothing if not a pursuit of everyday miracles." 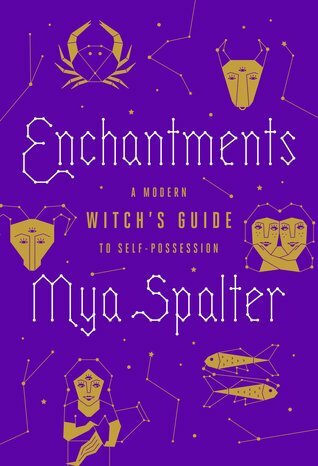 Mya Spalter has spent fifteen years among candles, herbs, cats, and spell books as an employee at New York City's oldest occult shop, Enchantments, and she's crammed all that experience teaching others the building blocks of magic into this book. In a fresh and inclusive voice, Spalter offers practical information for building your own eclectic, self-guided witchcraft practice, illustrated with beautiful black and white drawings by artist Caroline Paquita: how to set up a home altar, how to cast a love spell on yourself (which is really the best way), the many uses for candles, the differences between need and greed in money magic, and all the magical ingredients you can get at the dollar store. She covers healing herbs you might try out in your bathtub, tells stories of divination gone wrong--and right!, describes witchy holidays to celebrate with friends or covens, explains the best way to ask an Aries for a favor, and much, much more. On every page, Mya offers smart, hilarious, and, most importantly, concrete ways to incorporate intentional magic in your own life.